The pursuit of happiness is an ideal deeply ingrained in the American psyche. Yet, national surveys indicate that more and more citizens in this country are coping with severe psychological pain. Why is gloom so prevalent? General Social Survey data indicates that optimism has been declining steadily since 1972. The drop has been most pronounced among those with less education. It’s ironic in the extreme that Americans have so much, but we are not happy for having so many material benefits. Perhaps focusing on intangible things might help shift things in a better direction. With that in mind, what steps can people take to boost happiness on both a personal and social level? Americans are working harder than ever (and far longer hours than their European counterparts), but that is not translating into deeper life satisfaction. On the other hand, a University of Michigan study found that one extra hour of sleep per night made people happier than getting a big raise. Pursuing individual happiness has been compared to a cat chasing its own tail. If you are feeling down, then try and make a difference in another person’s life. You’ll not only brighten their mood, but you’ll feel better about yourself. Research shows that having a pet improves self-esteem, reduces anxiety and depression, and encourages more exercise. Adding a furry friend to your life entails some serious responsibility, so be prepared to make some sacrifices. But, if you are up to the challenge, you will be rewarded with some of the best positive reinforcement available — unconditional love. It’s easy to feel sorry for yourself, but it’s important to remember that someone has it harder than you. Volunteer at a soup kitchen, a homeless shelter or the children’s ward of a hospital and you’re bound to encounter individuals who are facing a lot worse. Happiness is about perspective and spending time with people who really have it difficult can give you the vantage point to be more grateful for what you do have. Studies show that spending a few moments each day to watch clouds unfurl, admire flowers or bask in the glory of a sunset can really help you de-stress. It doesn’t cost a penny, but setting aside just five minutes a day to notice nature can rekindle your sense of wonder. Bake cookies for an elderly neighbor. Donate your holiday gifts to the needy. Give some of your clothes to the Salvation Army. Try to think of a different random act of kindness you can perform every day (or at least once a week). If you need more ideas, you can find a list here. Many people are haunted by the past and they dread the future. But the present moment is the only time we are guaranteed. Be grateful for what you have, right now — at this particular instant — and you will begin to open the door to happiness. Practice living in the present regularly and that entrance will grow wider. 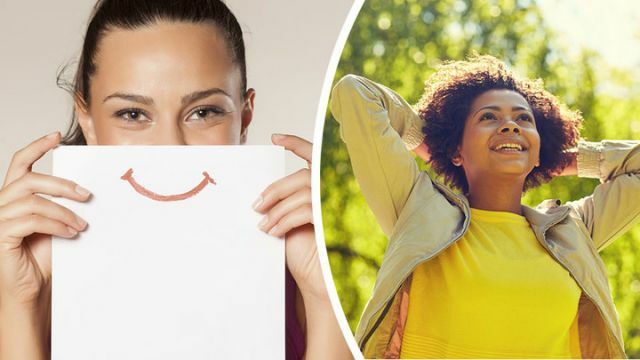 Hey Buddy!, I found this information for you: "America’s Mood May Be Sour, But Here Are 7 Steps To Start Feeling Better". Here is the website link: https://www.thealternativedaily.com/happiness-is-under-siege-in-america-7-steps-to-start-feeling-better/. Thank you.